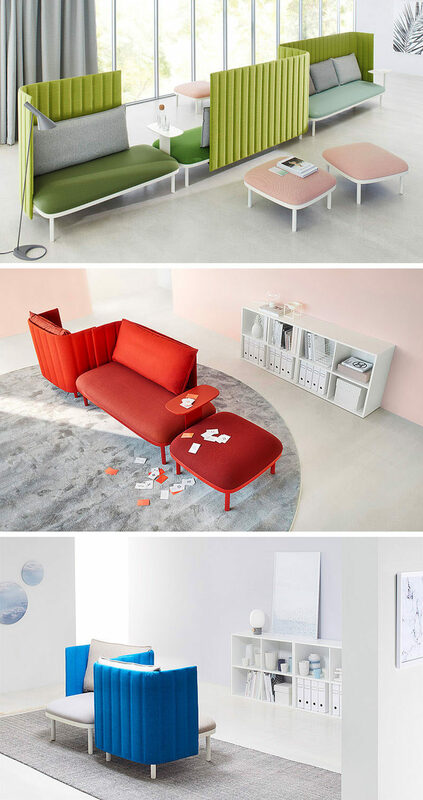 German furniture company ophelis, has designed a collection of modular office furniture pieces that are named ophelis sum. 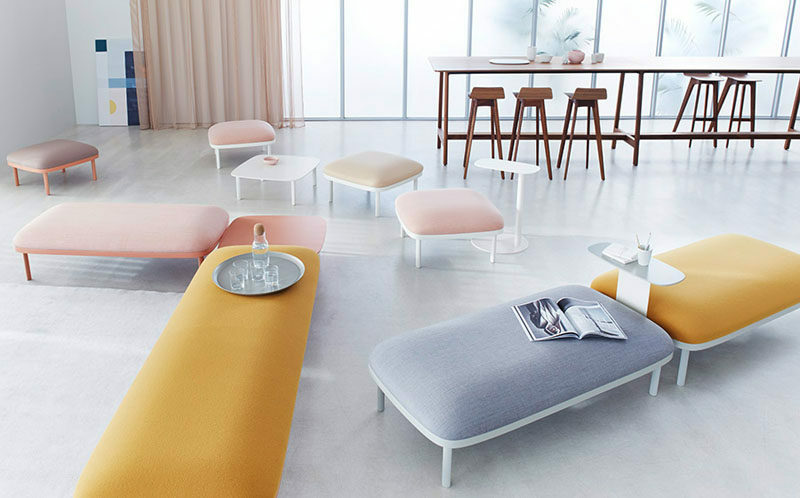 The concept for the collection is based on three core elements: the base, the partition, and the pillow. 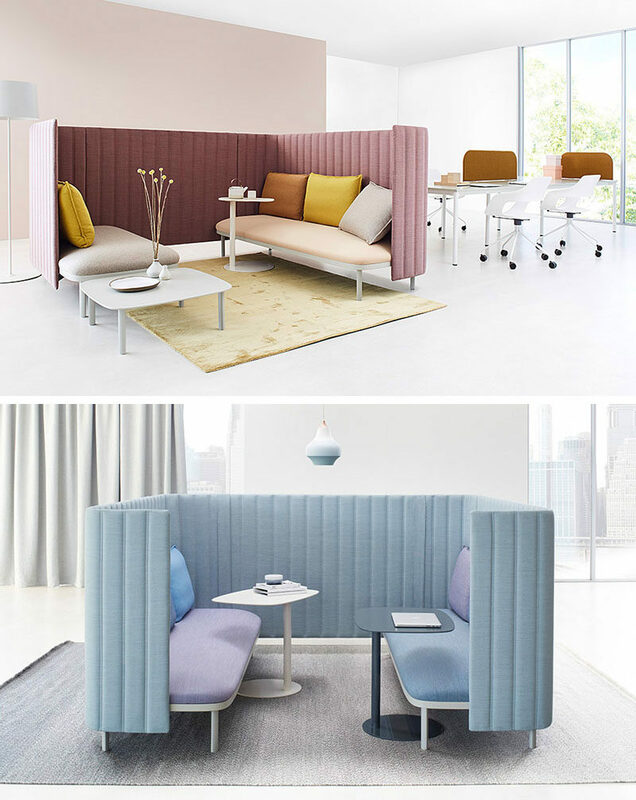 By combining these three modular elements, there are a variety of ways that the pieces can be arranged to suit the needs of a particular office. 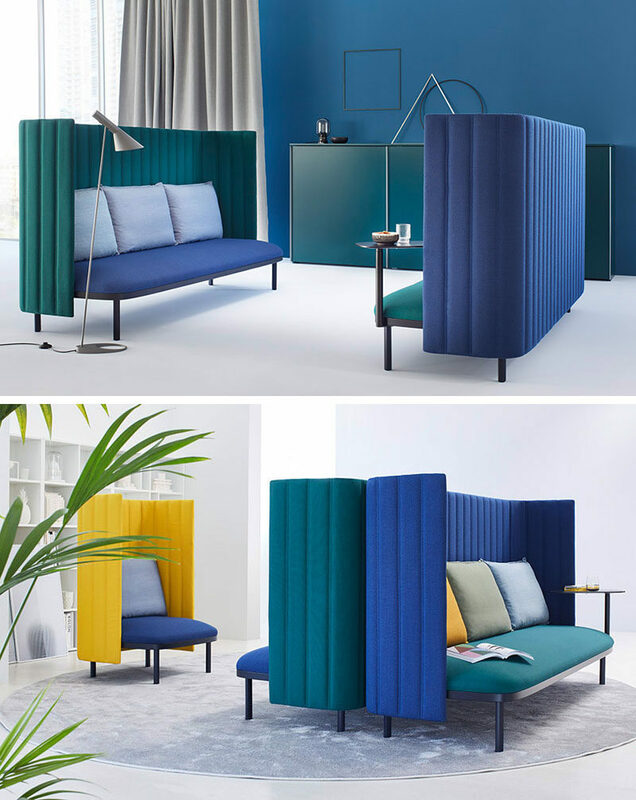 If privacy is a concern, partially closed off small lounge areas can be created by using tall partitions. The partitions have two heights to choose from, allowing for privacy when needed or simply to separate seating areas. Tables, specifically designed as part of the collection, also act as bridges between the furniture pieces. 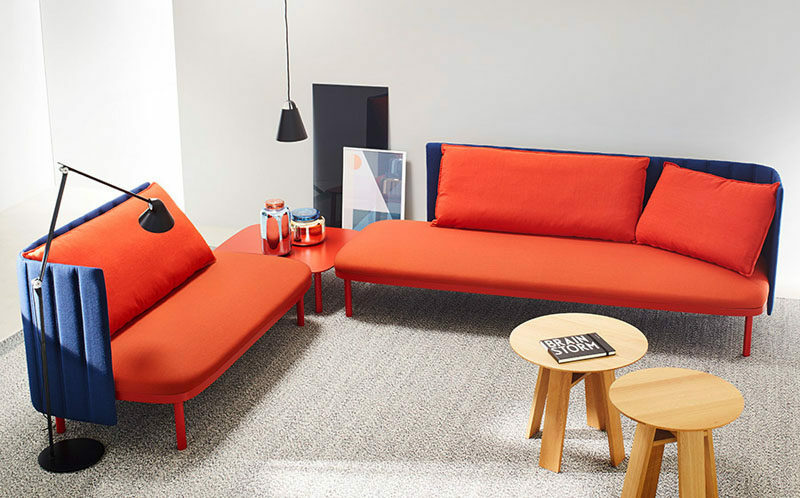 For a more casual, open plan office, the collection also includes upholstered benches that act like an island for people to relax on.